Star Blazers is an adaptation of a Japanese animation in the anime style that was reworked to be popular in the U.S. The series takes place over three seasons and contains interconnecting stories stretching across each season; characters appear in each of the three seasons that take the human characters away from Earth on missions into space. The animated television series Star Blazers was syndicated throughout the U.S. by the Westchester Corporation in conjunction with Claster Television. American scripts were written for the Japanese animated series that made the story more accessible to young U.S viewers; themes that were prominent in the Japanese version included alcoholism and violence were replaced in the U.S. series. The Japanese series were produced in the 1970s and were dubbed in the U.S. during the late 1970s and 1980s. During the first season of Star Blazers, entitled The Quest for Iscandar the World War II battleship Yamato is fitted with an engine of alien origin to take the ship into space. The Earth has been held under siege by the alien Gamilon Empire who have destroyed the surface of the Earth with a nuclear attack. Queen Starsha of the planet Iscandar offers the use of CosmoDNA to reverse the effects of the nuclear attack on the Earth's surface; the ship must reach her planet and return to Earth within a year if the planet is to be saved. The successful completion of the mission in season 1 is followed in season 2 by a new invading army giving the season the title The Comet Empire. An approaching comet is the cover for an alien empire that wishes to enslave the people of Earth. The battleship Yamato is again given the mission of saving the Earth; the battleship is now under the command of the deputy Captain Derek Wildstar. Like the first season The Comet Empire is made up of 26 thirty minute episodes. A less successful third season, entitled The Bolar Wars was produced with different voice actors to the first two seasons and various animation quality problems. In Japan the anime franchise remains popular and led to a 2010 live action movie. 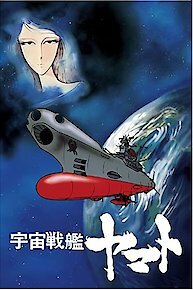 Attempts to produce a U.S. based live action movie have so far proved unsuccessful; production companies including Walt Disney have made attempts to produce live action versions of Star Blazers. Mission Day 299. Earth is one month from the end when the Argo arrives with the cannon from Gardiana. Episode 25 - Star Force, Shoot That Sun! Mission Day 283. Mariposa directs the Argo through a dimensional gateway to the Planet Gardiana. Unknown to them, Desslok's fleet follows, and Golsakov's fleet sneaks in behind them. Mission Day 278. The Argo enters the Skalagek strait to survey its last planet. The Star Force discovers the wreckage of the Earth ship Arizona, shot down on the planet Beta by Bolar ships, and the planet is found to be uninhabitable. Mission Day 218. Flash and Jason arrive at the core of Phantom, where the planetmind has been hiding a young girl called Mariposa, the heir to the throne of Queen Gardiana. Mission Day 216. Desslok is shocked when Wildstar tells him of the strange apparitions on Phantom, which have everyone baffled. IQ-9 is coaxed by Nova into analyzing the situation. Mission Day 211. The Argo arrives at Phantom and the Star Force is amazed to see that it looks exactly like Earth. Satellite surveillance confirms the atmosphere is identical, and the crew celebrates. Mission Day 190. In a communication with Earth, the Star Force learns that emigration ships are being rapidly built in the old underground cities. They begin a series of warps toward Planet Phantom, and are picked up by Bolar spy satellites. Mission Day 176. Galman Technology Major Kranshaw leads a unit of ships to the solar system to deal with the runaway nuclear fusion on the sun. With him are Sandor, Sandor's staff, and Homer. Mission Day 147. Desslok takes a tour of the Argo, learns of the missile that hit Earth's sun, and offers the help of his science chief to repair the damage. Mission Day 146. Wildstar remembers his encounters with Desslok as the Argo ravels to the Galman home world. Mission Day 122. During a battle, Dr. Sane operates on Wildstar and Sandor builds a subspace sonar to track the submarines. The Star Force overcomes the hijackers, learning that they are followers of the mythical Queen Gardiana and want to be taken to the Planet Gardiana. Prince Zordar, the greatest tyrant in the universe, has decided on his next target. The Star Force and Dagon engage in a final battle. The Star Force is warned of Dagon's new Galman fleet, as Dagon initiates a last ditch strike. The young cadets prove their worth as the Star Force battles Dagon's new weapon. Near Neptune, the Star Force answers a distress signal from one of its moons. The Star Force, after the battle near planet Brumas with Dagon's fleet, takes shore leave on the Earth's Alpha Centauri base while the Argo gets repaired. Near Brumas, the Argo and the Legendra defend themselves from the assault of General Dagon. Episode 5 - SOS Logendra! The Argo approaches the battle-damaged Legendra, fleeing from the Galman fleet. Wildstar wishes to keep the Earth neutral. The Star Force, after warping to Mars, takes part in combat drills to get the new cadets up to speed. A Galman cruiser mistakenly warps in the Earth's atmosphere, and the Star Force must neutralize the threat. Due to this unexpected occurance, Wildstar orders the Argo to dispatch at dawn. With two weeks until take-off, the Star Force and its new crew prepare for the seemingly impossible mission of finding a planet suitable to inhabit. Coupled with a solar flare that causes havoc on the Earth, the Star Force must launch in 6 days. A war between two factions out of the Solar System threatens the Earth. A missile in the war hits the sun; this causes the sun's nuclear fusion. In one Earth year, unless it is corrected, the sun will burn the Earth and all life will cease to exist. Wildstar prepares to sacrifice himself and the Argo to destroy Zordar. Episode 26 - Argo, Make Us Proud! The Star Force engages in a desperate final battle. The last battle between the Star Force and Desslok. Desslok battles the Star Force for the last time. Earth surrenders as the Comet Empire destroys the moon. The EDF battles the Comet Empire's advanced fleet. Knox returns to Planet Brumas, the site where the Star Force rescued the Space Marines. The Star Force wonders about Venture's sanity in light of Trelaina's death. Trelaina fights the Comet Empire alone. The Argo prepares to leave Telezart. The Star Force learns of the true nature and threat of the White Comet. The Star Force defeats the last of the Comet Empire's resistance at Telezart. The Star Force arrives at Telezart and look for Trelaina. Desslok of Gamilon sets his plan into action against the Star Force. The Argo encounters trouble from an asteroid belt and a Comet Empire general. The Argo captures an enemy pilot. The Argo is trapped and faces old age before its time. Trouble brews between the crew of the Argo and the Space Marines on board. The Argo answers a distress call from Space Marines. The Argo does battle with the superior force of the Andromeda. The Argo decides to disobey orders and take off. Wildstar learns the meaning of the encrypted message. The Comet Empire causes a blackout on Earth. Wildstar believes there might be a threat to Earth's peace. The Argo learns of a mysterious new threat.